A computer virus has infected the cockpits of America’s Predator and Reaper drones, logging pilots’ every keystroke as they remotely fly missions over Afghanistan and other warzones. The virus, first detected nearly two weeks ago by the military’s Host-Based Security System, has not prevented pilots at Creech Air Force Base in Nevada from flying their missions overseas. Nor have there been any confirmed incidents of classified information being lost or sent to an outside source. But the virus has resisted multiple efforts to remove it from Creech’s computers, network security specialists say. And the infection underscores the ongoing security risks in what has become the U.S. military’s most important weapons system. Drones have become America’s tool of choice in both its conventional and shadow wars, allowing U.S. forces to attack targets and spy on its foes without risking American lives. Since President Obama assumed office, a fleet of approximately 30 CIA-directed drones have hit targets in Pakistan more than 230 times; all told, these drones have killed more than 2,000 suspected militants and civilians, according to the Washington Post. More than 150 additional Predator and Reaper drones, under U.S. Air Force control, watch over the fighting in Afghanistan and Iraq. American military drones struck 92 times in Libya between mid-April and late August. And late last month, an American drone killed top terrorist Anwar al-Awlaki — part of an escalating unmanned air assault in the Horn of Africa and southern Arabian peninsula. But despite their widespread use, the drone systems are known to have security flaws. Many Reapers and Predators don’t encrypt the video they transmit to American troops on the ground. In the summer of 2009, U.S. forces discovered “days and days and hours and hours” of the drone footage on the laptops of Iraqi insurgents. A $26 piece of software allowed the militants to capture the video. The lion’s share of U.S. drone missions are flown by Air Force pilots stationed at Creech, a tiny outpost in the barren Nevada desert, 20 miles north of a state prison and adjacent to a one-story casino. In a nondescript building, down a largely unmarked hallway, is a series of rooms, each with a rack of servers and a “ground control station,” or GCS. 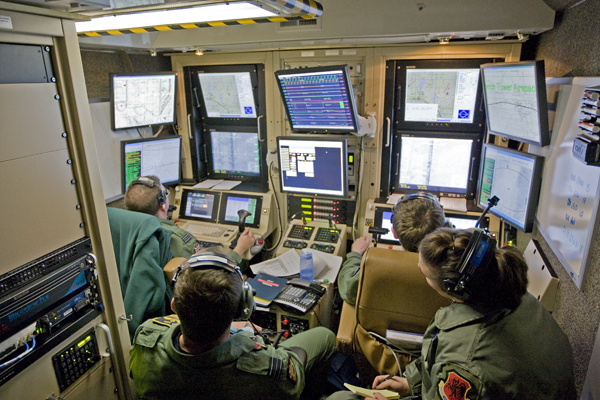 There, a drone pilot and a sensor operator sit in their flight suits in front of a series of screens. In the pilot’s hand is the joystick, guiding the drone as it soars above Afghanistan, Iraq, or some other battlefield. Some of the GCSs are classified secret, and used for conventional warzone surveillance duty. The GCSs handling more exotic operations are top secret. None of the remote cockpits are supposed to be connected to the public internet. 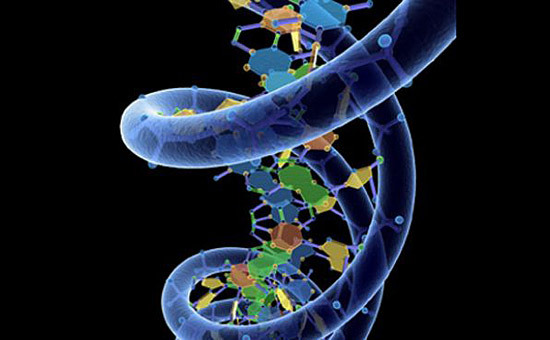 Which means they are supposed to be largely immune to viruses and other network security threats. 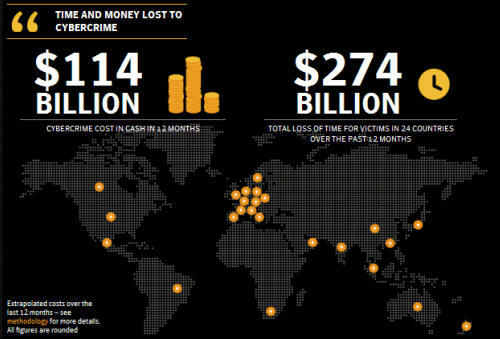 Symantec, the company behind Norton Anti-Virus, has published a startling report which estimates nearly $388 billion is lost each year to cyber crime – $274 billion in sheer wasted time, and the remaining $114 billion either spent to combat it or deposited into the bank accounts of criminals. According to the “Norton Cybercrime Report 2011,” viruses and malware are the “preventable yet more prevalent” methods employed by cyber criminals. Conducted earlier this year by StrategyOne, who polled 19,636 adults, kids and teachers in 24 countries, the study revealed over 54 percent of online adults have indeed encountered either threat despite the fact 59 percent incorporate active, up-to-date anti-virus software. Online scams and phishing rounded out the most common methods. Resolving a cyber crime is also a huge hassle for those affected. Norton’s research found the entire process takes anywhere from four to 16 days depending on where you live; on average, victims spend 10 days. China topped Norton’s list of countries most affected by cyber crime, boasting an ignominious 85 percent of adults affected. The U.S. wasn’t too far behind at 73 percent. The fact the Internet is such a huge part of everyday life in many countries means cyber thieves have ample prey. 24 percent of respondents said that they “can’t live without the Internet,” while 41 percent “need the Internet in their everyday life.” Considering that level of dependency, it’s not too shocking that nearly 70 percent of adults reported being the victim of some form of cyber crime. Joseph LaBrie, an Associate Professor of Psychology at Loyola Marymount University, addressed the mental state of online users and their resistance to educating or protecting themselves.